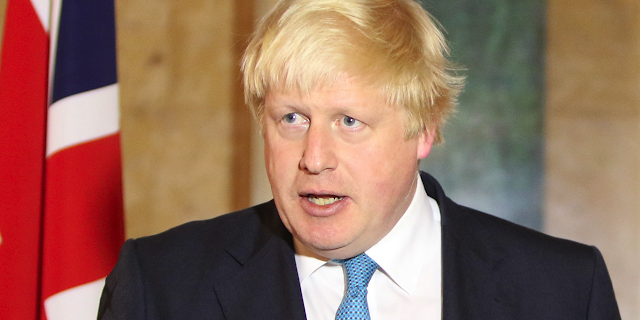 Boris Johnson has resigned as UK foreign secretary, Downing Street has confirmed. It represents yet another blow to the government of Theresa May, who is pushing for a soft Brexit plan that has angered many Conservatives. "This afternoon, the prime minister accepted the resignation of Boris Johnson as foreign secretary. His replacement will be announced shortly. The prime minister thanks Boris for his work,” Downing Street said in a statement. Johnson’s resignation follows that of Brexit Secretary David Davis and his No. 2 at the Department for Exiting the EU, Steve Baker. Rumors began swirling earlier on Monday that Johnson would be leaving his post, as he was holed up in his residence with his closest advisers, missing a scheduled appearance at the West Balkans summit. There were also reports that he missed a Cobra meeting about the Wiltshire Novichok poisoning. May’s soft Brexit plan has led to a chaotic situation within the government, as her roadmap is a far cry from what pro-Brexit campaigners such as Johnson had initially pushed for. The plan has prompted many to call for the resignation of May, who herself opposed Britain’s exit from the European Union, and reports are speculating about the possibility of a no-confidence vote regarding May’s leadership of the Conservatives. After slamming May’s plan on Sunday night, Davis said it would mean “giving too much away, too easily” to the EU, as Britain would still be made to abide by many of the bloc’s regulations. However, he stated that he was not trying to force May out of power – even though she is pursuing a “dangerous strategy” in her talks with Brussels.